Taria Reed Photography: Tommy is ONE!! How many times have you heard me say how much I love watching "my" babies grow up? The last time I saw Tommy his mommy and I stuffed him into a gift box and took holiday portraits with his big brother. Now look at this handsome little guy. 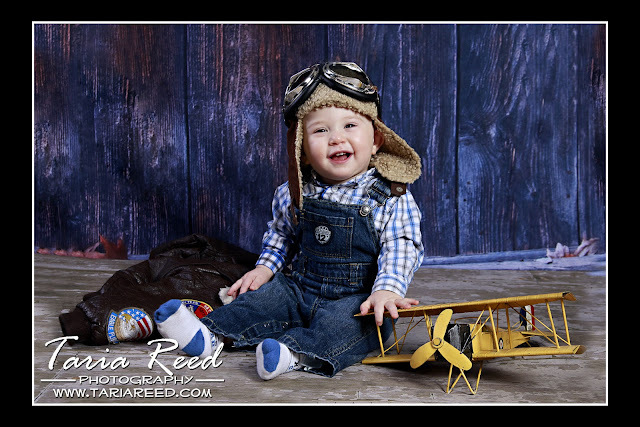 Even though he wasn't feeling all that great during his session we still had LOTS of fun together. I can't wait to see him and his family again.